In 1991, Andreas Weisshaar joined the Department of Electrical and Computer Engineering (now School of Electrical Engineering and Computer Science) at Oregon State University, where he is currently a Full Professor. He also serves as Director of the Center for Design of Analog-Digital Integrated Circuits (CDADIC). From 2008 to 2011 he served as Program Director for Communications, Circuits, and Sensing-Systems with the U.S. National Science Foundation. Dr. Weisshaar’s current professional service includes Member of the Editorial Board of the Proceedings of the IEEE since 2013, Associate Editor of the IEEE Transactions on Components, Packaging and Manufacturing Technology since 2011, and serving on several technical program committees. 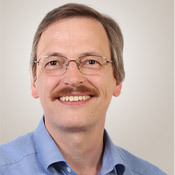 His past professional service includes General Co-Chair of the IEEE Conference on Electrical Performance of Electronic Packaging and Systems in 2008 and 2009, Guest Editor of the Symposium Issue of the IEEE Transactions of Microwave Theory and Techniques in 2002, and Guest Editor of the Special Issue on Future Spectrum Access of the Proceedings of the IEEE in 2014, and Associate Editor of the IEEE Microwave and Wireless Components Letters from 2003 to 2006, and the IEEE Transactions on Advanced Packaging from 2004 to 2010.